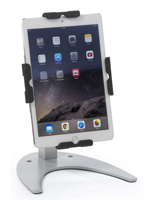 How can iPad Air mounts be used to incorporate touchscreen technology into a business setting to boost sales? 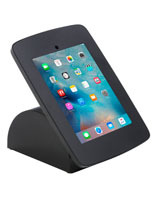 This line of Apple® enclosures supports any marketing endeavor with a high degree of style and functionality. 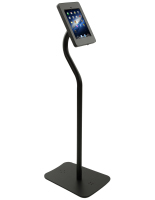 Each of these tablet stands makes the customer browsing experience more comfortable, increasing the length and frequency of visitor engagement with goods and services. 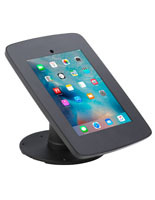 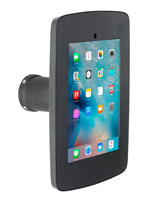 These iPad Air mounts, also known as Apple® enclosures, are quality displays that come in floor standing, counter, clamp, and wall mounted options, because not all businesses use technology in the same way. 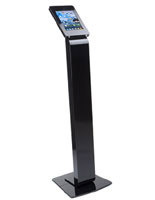 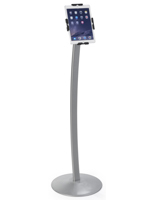 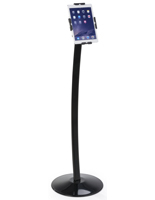 These tablet stands that are quality trade show fixtures are a quality buy at minimal cost, especially when bulk purchased. 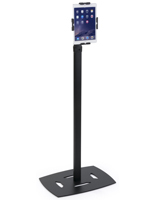 Savvy business owners incorporate iPad Air mounts with tabletop, counter, freestanding, clamp, or wall mounted configurations into their marketing plan to maximize browser experience. 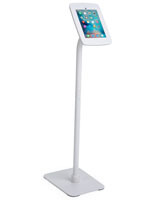 When browsing this line of tablet stands, be sure to read the specs to ensure they are compatible with the smart device they will be mounting. 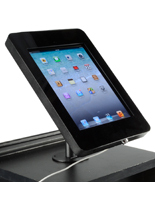 This website offers touchscreen holders in a myriad of finishes, construction materials, and enclosure styles to suit any decor. 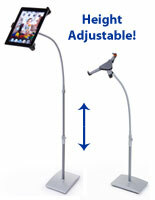 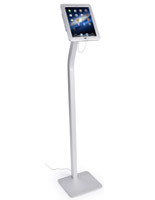 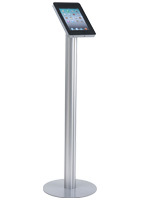 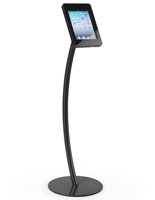 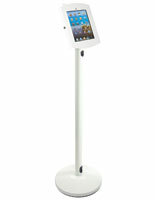 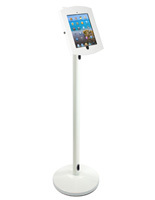 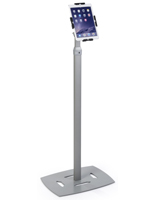 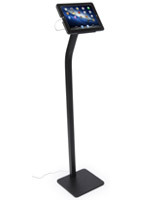 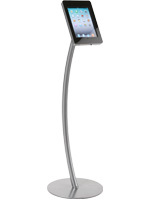 What styles of tablet stands are available for commercial and residential use? 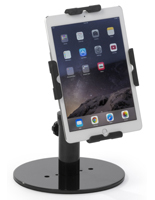 Countertop iPad Air mounts are great for professionals and for the home user who uses technology for banking and accounting. 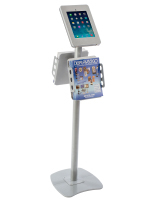 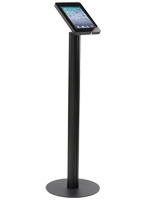 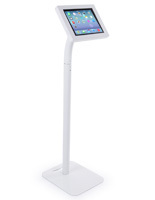 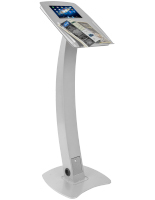 Floor Standing touchscreen holders make great register stands and POS kiosks to expedite store checkout; even kitchen recipes and basement projects. 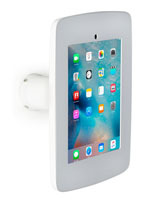 Wall mounted displays take up the least space, and can be placed around a showroom near various collections of merchandise to call out interest. 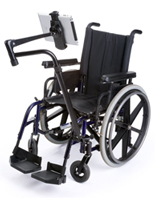 Clamped accessories enable a tablet to be secured to a wheelchair for user convenience, with an ergonomic design that is user-friendly and comfortable. 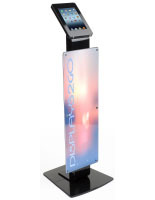 Many times professionals will purchase several mounting styles at once and place them at different points throughout a show room or convention hall to highlight selected merchandise or services. 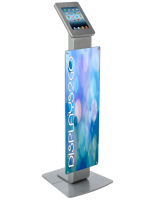 These touchscreen holders for Gen 2, 3, 4, Air & Air 2 to boost annual sales numbers by engaging clients via apps and custom advertising presentations. 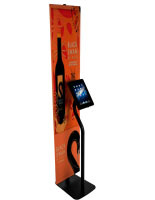 Stay on the cutting edge with these durable technology holders that help move merchandise out the door and encourage sign ups and browsing, while boosting brand recognition. 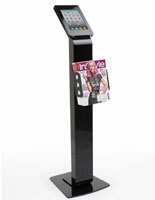 These information kiosks are ideal for commercial use, but non-locking versions are popular for residential use, too. 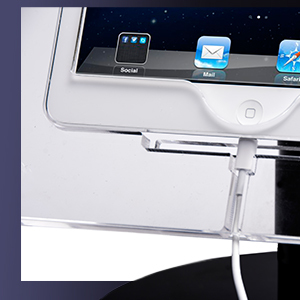 At-home users rely on these touchscreen holders to protect and display a smart device for purposes of watching movies and listening to music, learning how to cook a new recipe or build a piece of furniture, or creating a rock or vegetable garden. 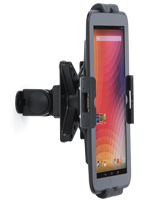 When searching for a mounting display compatible with your device, be sure to check specifications to ensure the right match for your mini or larger screen device. 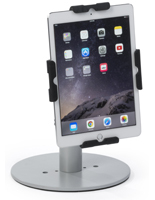 Since iPad Air displays hit the market, durable Apple® mounts have grown in popularity to optimize the use of technology as the foundation of a successful marketing plan. 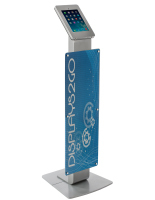 Special locking features ensure that these mounting fixtures can be used in areas of high traffic in a retail store or at a convention hall where trade shows and sales expos are held. 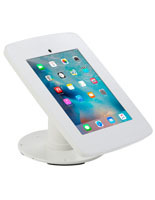 Buy online mini and touchscreen enclosures for wall mount, floor stand, clamp, and counter display for keeping expensive devices safe and accessible to the consumer. 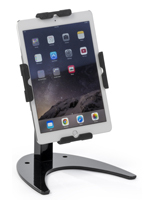 Special features such as hidden or exposed home button designs give the merchandiser and professional jurisdiction over what pages and content are accessible. 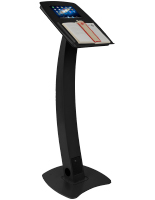 Some stands have literature holders on either side to encourage takeaways, so customers can stay connected with a company. 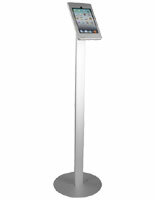 Interactive presentations using these touchscreen displays are a great way to expand client base. 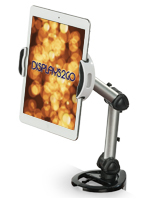 Sell more merchandise, increase brand awareness, provide real value to patrons of your store, and bring bold messaging concepts across with these quick-ship mounts for commercial use. 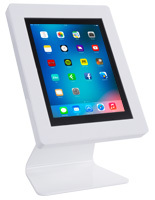 Residential users protect their devices with these Apple® cases from grease and spills while learning how to make a new dish in the kitchen or binge watching “House of Cards” via Netflix; so these touchscreen enclosures are a bonus whether they are used for business or pleasure.